An eye shut travel, back to the 16th century; epoch where the globe had a major role in the navigators’ lives and was the main key to world exploration. Equator is full of “Portugal”: soul, navigators & discovery, represented by the embossed hammered cooper and the elegant wood lines. The delicate and detailed craftsmanship equals one unique jewellery piece. Mixing two necessities of the perfect lifestyle, traveling and celebrating. Ideal for exclusive interiors, this exclusive piece of furniture can be placed at any living or dining room giving it an elegant style providing a journey of pure comfort and relaxation. 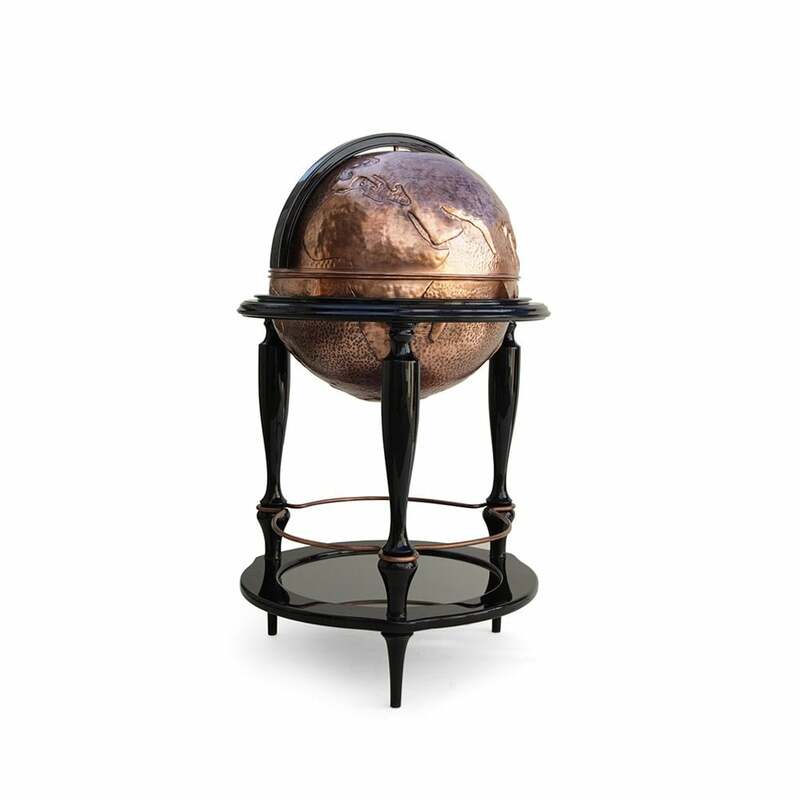 The Globe is made from polished copper, manually hammered. In its interior there is space for glasses and bottles. The surface of the bottom head’s base is made from black lacquered glass. PRODUCT OPTTIONS 360º over vertical axis.